Product prices and availability are accurate as of 2019-04-17 15:10:01 MDT and are subject to change. Any price and availability information displayed on http://www.amazon.com/ at the time of purchase will apply to the purchase of this product. 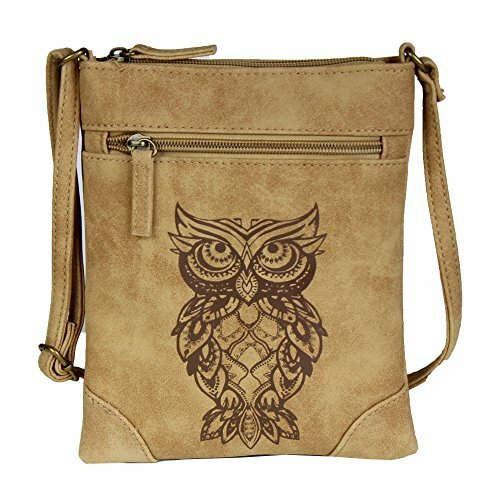 Pretty and petite, this crossbody bag measures 8" high by 7" wide. It's the perfect size for all your essentials like phone, credit cards, keys, etc... Made of high quality vegan leather, this bag feels buttery soft! The fabric lined interior features 1 zippered pocket and 1 side slip pocket. It's lightweight and small style will keep you feeling comfortable while still enjoying yourself doing any type activity! For a small bag, its big on style and functionality!